Le Journal La Croix (1975). 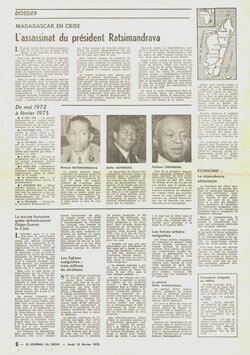 A page of articles about Madagascar. 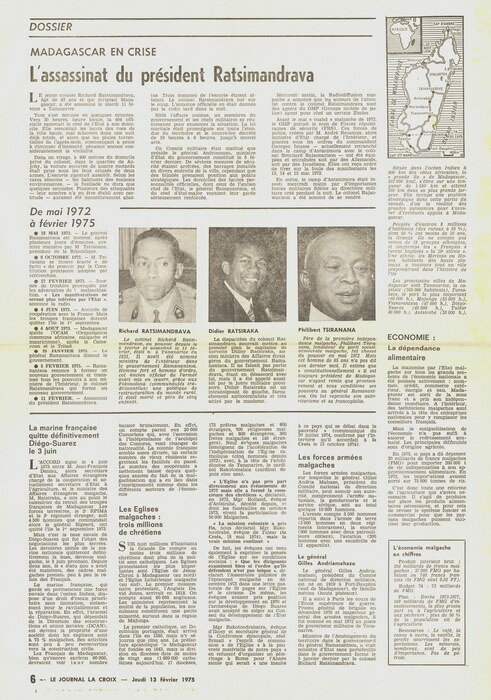 The main article concerns the assassination of President Richard Ratsimandrava, who was murdered after just six days in office. There are photographs and profiles of Richard Ratsimandrava, Didier Ratsiraka, and Philibert Tsiranana.